Your Invisalign treatment is nearing the end, and you’re ready to show off your straighter smile to family and friends, but how do you ensure your teeth stay in place? Up to this point, your dentist has walked you through each step, making sure your teeth are moving into the appropriate place. Before you start to worry, your dentist won’t leave you uninformed about your post-treatment care. To get a better idea, here’s what you can expect after your treatment with Invisalign in Daytona Beach. Are Dental Implants In Daytona Beach Noticeable? Find Out Here! If you’ve lost any of your teeth, you’re not alone. 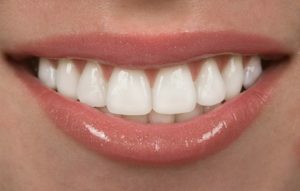 An estimated 120 million people in the U.S. have lost at least one tooth and around 40 million have lost all of them. Thankfully, people have more replacement options today than ever before. And most people don’t only want something that functions well, but also looks great at the same time. 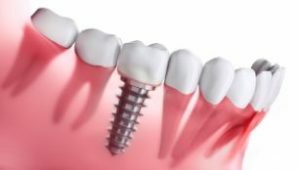 You may have heard that dental implants in Daytona Beach feel natural, but you might be wondering how they look and if they’re noticeable or not. Keep reading to find out how implants work and how they’ll affect your appearance. With this information, you’ll be one step closer to making the right decision for restoring your smile! Comments Off on Are Dental Implants In Daytona Beach Noticeable? Find Out Here! 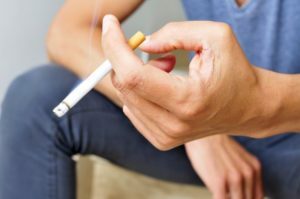 Does Smoking Affect Dental Implants in Daytona Beach? If you have missing teeth, then dental implants in Daytona Beach are considered to be the “crème de la crème” of tooth replacement. That’s because the process involves the attachment of a titanium post to the jawbone, which mimics the function of the natural tooth root. Still, the success of the implant is dependent on the post-procedure care. What does that mean for people who use tobacco products? Could their habits lead to a failed implant? Comments Off on Does Smoking Affect Dental Implants in Daytona Beach? Why Do I Need to Floss My Dental Crowns in Daytona Beach? 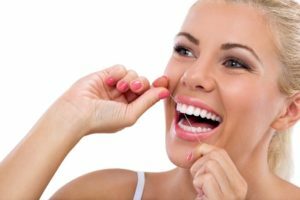 In addition to brushing your teeth, you know flossing is also invaluable to keeping your natural teeth healthy, but what about your dental restorations? Although crowns, bridges, and dental implants are not subject to tooth decay, it is vital you take the time to floss them at least once per day. This helps to preserve the longevity of your restorations while maintaining your oral health. 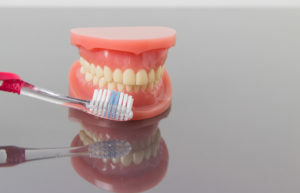 If you have prosthetics or dental crowns in Daytona Beach, commit to keeping your smile healthy by incorporating flossing into your daily routine. Comments Off on Why Do I Need to Floss My Dental Crowns in Daytona Beach? What Restorations Can Cover My Dental Implant in Daytona Beach? If you are considering treatment for dental implants, it’s important that you know what kind of restoration you’ll be receiving. Furthermore, you can rest assured that the restoration you pick will be designed not just to function properly, but look incredibly natural once placed. Regardless of the number of implants you receive or the type of restoration, your addition will look natural and blend in perfectly with the rest of your smile. To learn more about the restorations used with a dental implant in Daytona Beach and why you should feel confident after they’re attached, keep reading! Comments Off on What Restorations Can Cover My Dental Implant in Daytona Beach? A dental bridge in Daytona Beach is an oral prosthetic your dentist may use to replace multiple missing teeth at the same time. It’s held in place by dental cement and can last for many years with proper care. 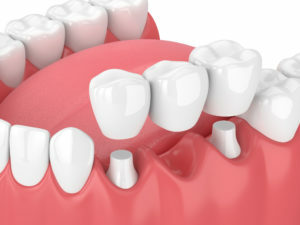 It’s a common misconception for people to think that in order to replace an entire row of teeth, a dental implant will be needed for every single tooth. 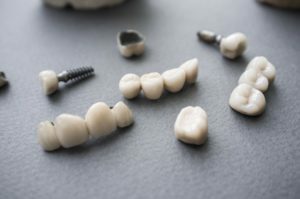 This idea alone makes those settle for a traditional denture, thinking they could never afford that many implants or undergo treatment that extensive. However, there is a solution that uses implants in an incredibly strategic way and doesn’t require nearly as many implants as you think. To learn more about All-on-4 in Daytona Beach, keep reading! 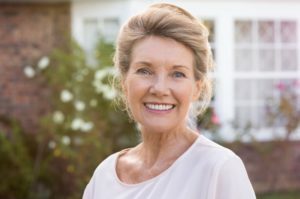 Dentures in Daytona Beach can provide you with a beautiful smile, a strong bite, and the confidence you need to love life. Of course, your new teeth will only live up to their potential if you are diligent about taking good care of them. Here are some tips to help you protect your prosthesis, extend its life, and maintain your oral health. When you slam your finger in a door, you instantly know which one was hurt before you even look down. Your brain has a great ability to help you differentiate pain in various areas of the body. As a result, you assume that the same can be said for a toothache. While you often know which one is giving you grief, new research suggests that it may not be as easy to tell for some. 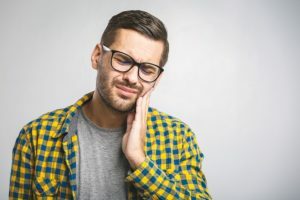 Whether you can tell which it is or not, any sudden pain is a sign that you need to see your emergency dentist in Daytona Beach right away. 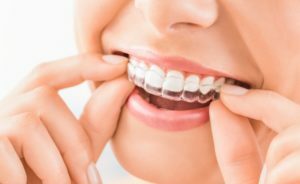 Start the Path to Healthy Teeth with Clear Braces in Daytona Beach! Most people find straight teeth to be more attractive, but how often do you hear people mention that a straighter smile is better for your oral health? According to your dentist, a straighter smile offers many health benefits that you may not have realized existed. This includes an easier oral care routine, a lower chance of gum disease and tooth decay, lower chance of tooth wear and injury, and many others! With benefits like these, it’s no surprise so many people are choosing clear braces in Daytona Beach! You’ll find many benefits compared to the traditional hardware used in orthodontics. Comments Off on Start the Path to Healthy Teeth with Clear Braces in Daytona Beach!